Jeff played his high school career in Klamath Falls, OR. 1983 - led team to state championship game and was named "Player of the Year" in the state of Oregon. He also earned all league and All-State honors in basketball. Jeff was drafted in the 8th round out of high school by the Phillie's organization but chose to pursue his career at Oklahoma State University under head coach Gary Ward. His teammates there included Pete Incaviglia, John Farrell, Mike Henneman, Robin Ventura and Monty Farris among others. During this time (1983-86) the power house made Oklahoma State Cowboys made 3 College World Series appearances. 1986 - drafted in the 2nd round by the Minnesota Twins organization. He played 10 years professionally including 3 years in the Major Leagues with both the Texas Rangers and the Milwaukee Brewers Organizations. 1993 - Recorded a save in his major league debut with the Texas Rangers. After injuries ended his career, Jeff returned to school to pursue a degree in Psychology. 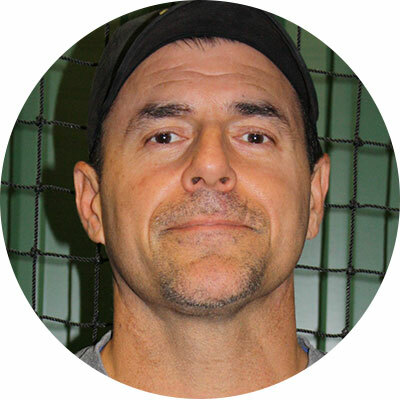 Today Jeff continues to pursue his love of baseball while working with upcoming pitchers through individual lessons and coaching youth baseball teams. He and his wife Kathy have two daughters - Sarene and Sierra. Sierra currently plays softball for the University of Arkansas Razorbacks.